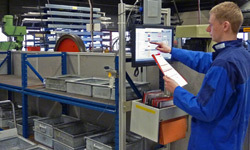 Lean Manufacturing, Six Sigma, Lean Six Sigma, TOC, TPM, QRM: Which method fits my company best? 1. We do not provide paid consultancy services. 2. Every consultancy (or supplier) can advertise on our site. 3. Advertisers cannot influence the content of our articles. 4. Registrated users only recieve once in about four months our newsletter by e-mail. 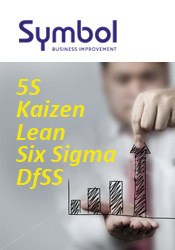 websites about all business improvement methods, including Lean, Six Sigma, TOC, QRM and TPM! Owner and editor-in-chief of this website is business-journalist Dr Ir Jaap van Ede . Our mission: contributing to a flowing work experience, literally and figuratively speaking, by inspiring you with in-depth real-life business cases. Join our community! We promise to send no unwanted e-mail. The latest registrated user is (Name_Company): Kittiya_Company. 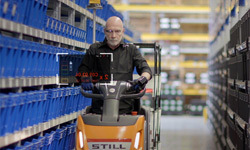 April 17, 2019: category Lean | Kaizen 2.0, that is what Yusen Logistics calls continuous improvement with a supply chain-wide view! The Kaizen teams just need a simple Makigami-board, as attaining insight and connecting all supply chain partners with each other is the main goal. Februari 14, 2019: category Lean | The term Lean exists thirty years. Yet, there are still many misunderstandings regarding it! 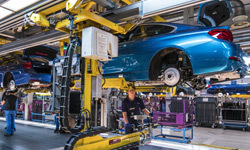 Do you think Lean means producing in a One Piece Flow, that Lean is all about daily production kick-offs, or that Lean soon will become obsolete? October 01, 2018: category Lead & Change | Supply Chain Management 1.0 increases the flow of products. 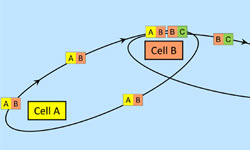 SCM 2.0 also encompasses the design of supply chains. It makes chains faster, cheaper, more innovative, more robust, more agile, more sustainable and more social. 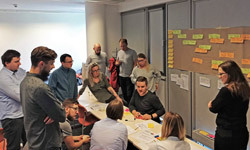 June 05, 2018: category Lean | The Toyota Kata approach, with standardized coaching and improving behavior, was incorporated in BMW’s Value-added Production System. Hoshin Kanri and einfachautomatiserung are also important. 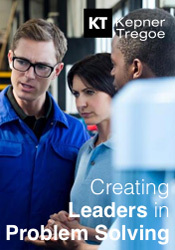 Industrie 4.0 is helpful for the benefit of Lean. POLCA yes, or POLCA no? April 25, 2018: category QRM | 20 years after Rajan Suri invented the high mix, low volume production control system POLCA, he publishes The Practitioner’s Guide to POLCA. In this article: Suri’s work in the area of Quick Response Manufacturing, a review of his book, our conclusions, and Suri’s response! On this page, summaries are shown of articles that were published during the last months. Earlier publications can be found in our news archive. Besides that, dozens of business cases, articles, and book reviews can be found with this search tool. On this site you will find information about the possibilities and limitations of the most important process management methods, see our mission. All continuous improvement approaches described here were originally developed in the US or in Japan, be it from different perspectives. 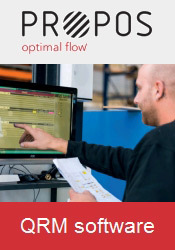 Namely logistics for Lean, TOC and QRM, quality for Six Sigma and productivity for TPM. 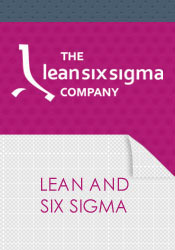 On this site each approach is characterized by one phrase, like 'the value adding organization' for Lean, and 'the perfect organization' for Six Sigma, see the overview below. After entering one of these site-sections, articles in the same section can be found using a yellow sub-menu on the upper-left of each page. 1. 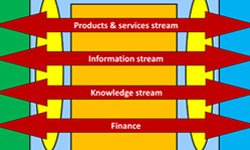 Providing information about business improvement, to stimulate knowledge transfer. Business-improvement.eu and its Dutch sister website procesverbeteren.nl both provide completely independent and unbiased information about áll methods to improve the efficiency, quality and flexibility of production and business processes. Focus is on business-cases, of which most were also published in specialist journals about logistics, quality and maintenance. The idea is to transfer knowledge about best practises from one company to another, and also to transfer knowledge between different industry sectors, e.g. from manufacturing to hospitals. Each company struggles with the same question: How can I provide – at lowest possible costs and with an acceptable delivery time – products or services that add maximum value for my customers? 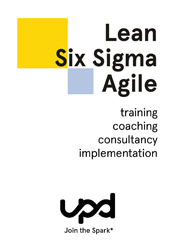 All methods on this site, Lean, Six Sigma, TPM etc, address this problem. Although it is often thought that implementations of these methods can be copied form one company to another (like a template), this is definitely not a good idea. The reason for this: Take for example the application of TPM within Unilever. 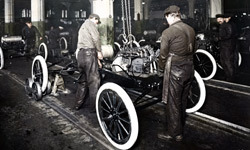 Their approach evolved during the years to a company-specific improvement method, tailored to their specific needs, also including aspects of other methods like Lean and Six Sigma. Therefore the idea is not to copy approaches on this site, but to see these as suggestions, which might work in your own organization. In conclusion: this site helps to generate ideas, e.g. about which method to start with when you are new to continuous improvement. Companies further on their way are served with suggestions about how to mix different methods, to compose an organization improvement system tailored best to their needs. Since these consultancy firms sponsor one or more site-sections chosen by themselves, a fit between the approach described in an article and the knowledge of the consultancy firms listed in the margin of that article is likely. However, as said before, this is a completely independent website. So, we cannot garantuee in any way the quality of the services provided by the listed consultancies, nor do we make any judgement about which firm would suit your company best. In time, more interactive functionalionality and many more case descriptions will be added to this site, as was done earlier on the Dutch sister site procesverbeteren.nl.